It’s no secret that the franchise model for growing restaurant companies continues to be a key driver in the restaurant industry. The restaurant industry is no different than other industries such as the music industry, the movie industry or even the software industry. Ours is an industry full of creativity, processes, proprietary flavors and company cultures. It makes good business sense for our industry to leverage that intellectual property across the globe through franchising. Like any business, a restaurant’s strategic plan is critical. A franchisee is a very important community member within the restaurant industry. Happy franchisees promote positive energy. Happy franchisees invest in their restaurant operations. Happy franchisees will strive to meet restaurant brand standards. Happy franchisees care about results. And happy franchisees make more money! Yes, when franchisees make money we have a healthy franchising ecosystem that thrives, prospers and grows for many generations forward. And so, that is why a franchisee is so important to our restaurant community. Thinking about restaurant catering as a franchisee, I’d like to encourage you to take some time to understand the perspective of restaurant catering from the franchisor’s perspective. This is very important because, well frankly, they need your help to do catering right. What follows is my perspective on the franchisee/franchisor relationship and how it impacts the decisions that need to be made around catering out of franchisee locations. As we all know, the franchising business is only successful if the franchisees believe they are getting timely services from the franchisors. Good franchisors understand this service dilemma and go out of their way to make sure they invest in the proper infrastructure to provide services to their franchisee community. 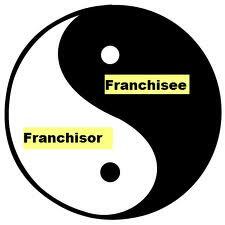 When it comes to franchising, the franchisor is the seller and the franchisee is the buyer. It’s no different when it comes to catering out of franchise ecosystems. As a franchisee, please consider how rapidly the market for healthy and convenient food is growing. Franchisors everywhere are in a constant race to position their restaurant brands in front of consumers, and demands and tastes are shifting every day. Because catering out of restaurants has primarily been an industry afterthought, many franchisors have neglected to make this important sales channel part of their brand’s core business strategy. And the ones that have are still in the early days of our industry’s evolution. As a franchisee, your job is to help your franchisors understand your needs. Because catering is tied to the business strategy of your restaurant, it requires attention at the most strategic level of the brand you represent. You need support to execute the catering operation with precision. In many franchise systems, good franchisee operators went ahead with catering services in earnest. Why? Because catering out of restaurants is simply smart business. Catering makes you more money. Every restaurant franchisee today has customers asking for catering services. In addition, every restaurant franchisee needs more sales to help make this week’s payroll. Saying no to customers is never an option for any growing venture. Good franchisees find a way to do it. And so, as the telephone rings more and more for these services, we must raise our service to a standard that can be measured and ultimately improved. That is the only way to yield more sales and we need to get better at it. On this franchisee-catering journey, we must deeply understand the subtlety in restaurant operations when it comes to catering. It requires a sturdy organizational foundation at the executive level committed to solid catering leadership and enterprise-level catering alignment. No business can advance without clear leadership, financial accountability and a vision for future growth. Therefore, franchisees must work together with their franchisors on restaurant catering to implement a scalable business focused on incremental sales. Franchisors can utilize the scale and resources of the full ecosystem to drive more sales for everyone by representing the brand properly in the marketplace. As part of this strategic alignment exercise, franchisees must include their restaurant unit managers and their community team members. If employees at the restaurant level are not trained around your designed catering culture, that culture will cease to exist and your catering program will fail. 1. Sales Goals: A clear and concise sales goal must be posted publicly and promoted visibly within all areas of your restaurants. Growing catering sales takes a full team commitment to selling. 2. Financial Investment and Resources: Restaurant catering represents a high-margin sales opportunity. A few small investments in the right places will yield incremental sales with few incremental costs. These investments need to be well defined, qualified, quantified and committed to. 3. A Commitment To Training & Standardization: People development is a key aspect to succeeding in your restaurant catering division. It takes ongoing people development to solve catering problems. 4. Coordinated Action Through Conscious Leadership: Results in an aligned customer service action throughout every department of your organization. Catering team ambassadors in every department all working together for seamless execution of catering, while maintaining existing business operations.